A few weeks ago I showed you some great embroidery projects from Katherine, one of our WeAllSew readers. 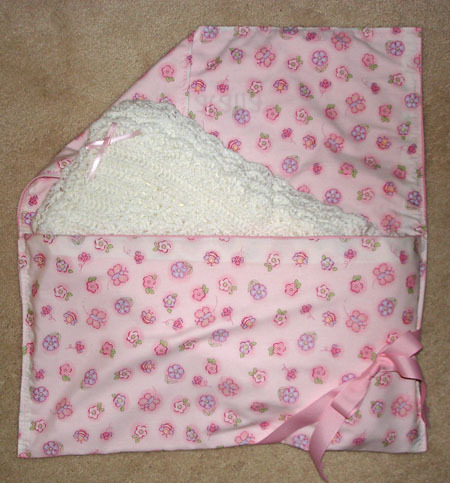 There was a beautiful log cabin quilt serving as a backdrop for her pretty anniversary pillow. Here’s a better look at the quilt, along with a peek at the back. 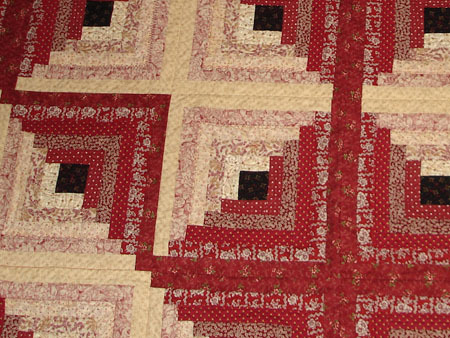 Log Cabin Quilt, quilted with embroidery and decorative stitches. 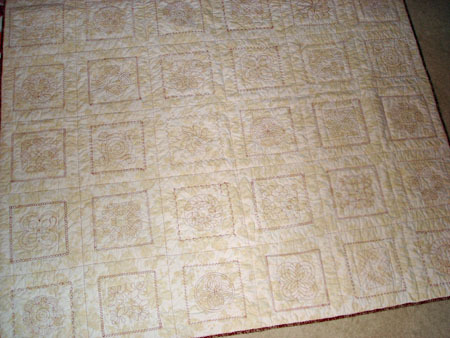 Log Cabin Quilt, back, quilted with embroidery and decorative stitches. 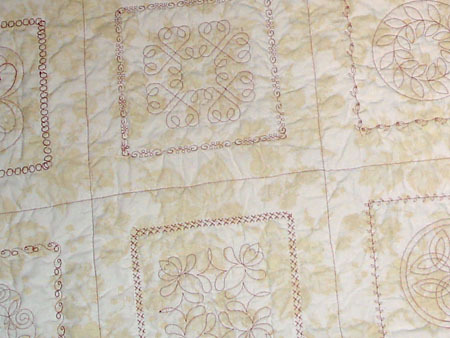 Log Cabin Quilt, detail, quilted with embroidery and decorative stitches. 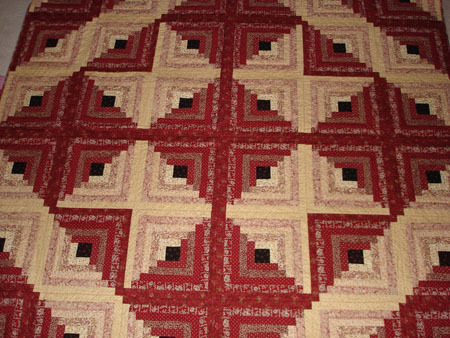 Log Cabin Quilt, back detail, quilted with embroidery and decorative stitches. She also sent photos of a last-minute gift-wrapping project – beautiful! She had no wrapping paper, but plenty of fabric, so she made this precious wrap – which ended up being as big a hit as the gift! 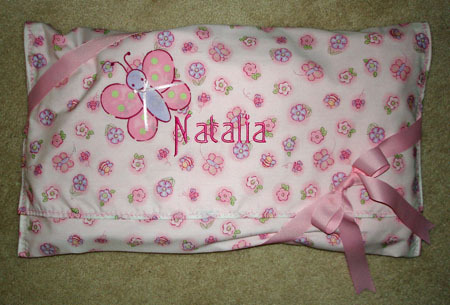 “Natalia” baby gift wrap, open. Previous Previous post: My Quilt is on QUILTY!